I offer Tuina (pronounced "twee-na")in 30 or 60 minute sessions. To schedule a Tuina massage, call me at 541.680.5660 or pick your appointment time online. 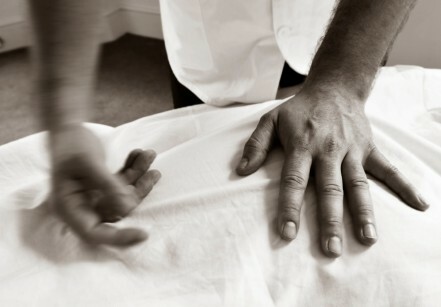 Tuina (pronounced "twee-na") is a Chinese deep-tissue massage that literally translates as "push grasp." Tuina is a very practical modality that combines various massage techniques with passive stretching and orthopedic testing. Tuina practitioners in China have special training distinct from acupuncture that focuses more on addressing structural problems. In a Tuina massage, I work with the knowledge of both musculoskeletal anatomy and acupuncture pressure points. My focus in Tuina is on musculoskeletal problems such as neck and shoulder tension, rotator cuff injury, sciatica, and back pain, and I also offer massage for general relaxation. Please add me to the Milwaukie Acupuncture mailing list. Milwaukie Acupuncture is located in downtown Milwaukie at 2305 SE Washington Street, Suite 110.